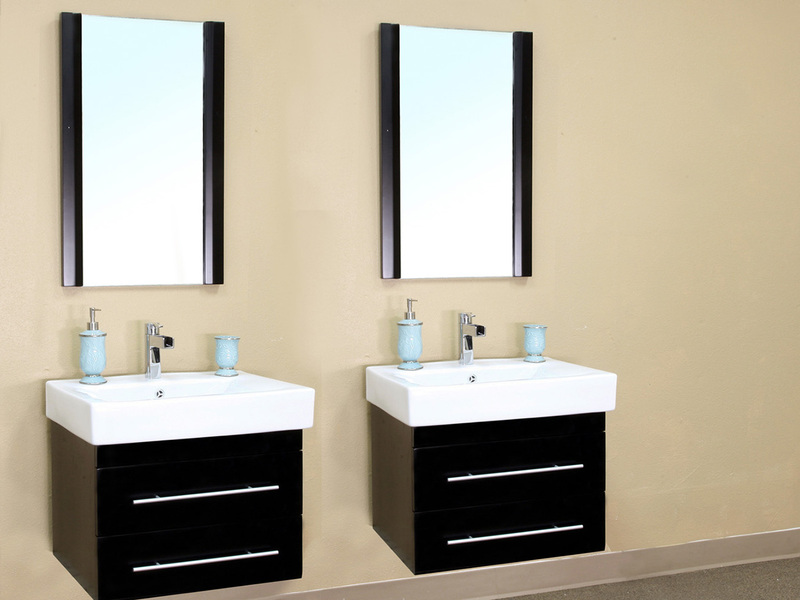 The Athos Double Vanity is versatile and stylish with its modern, wall mounted design. 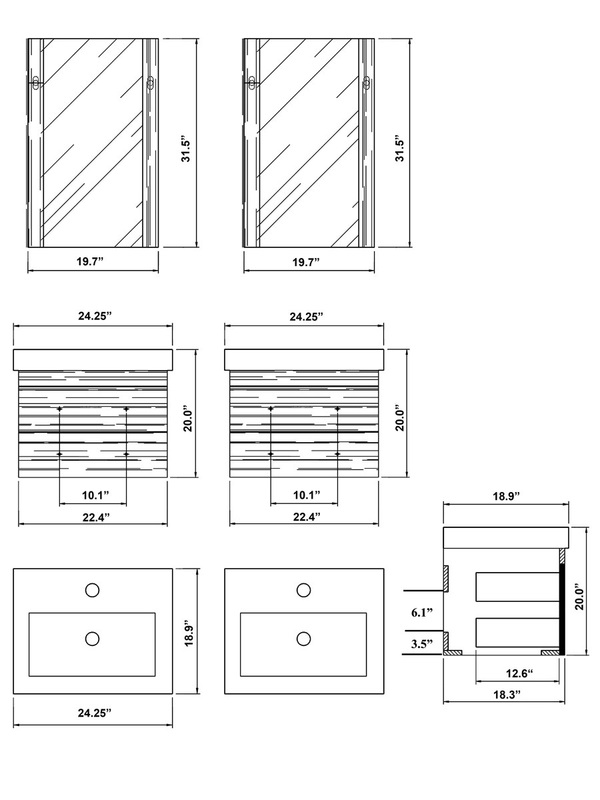 This great look is created by the simple design, clean lines, and nickel finish hardware. 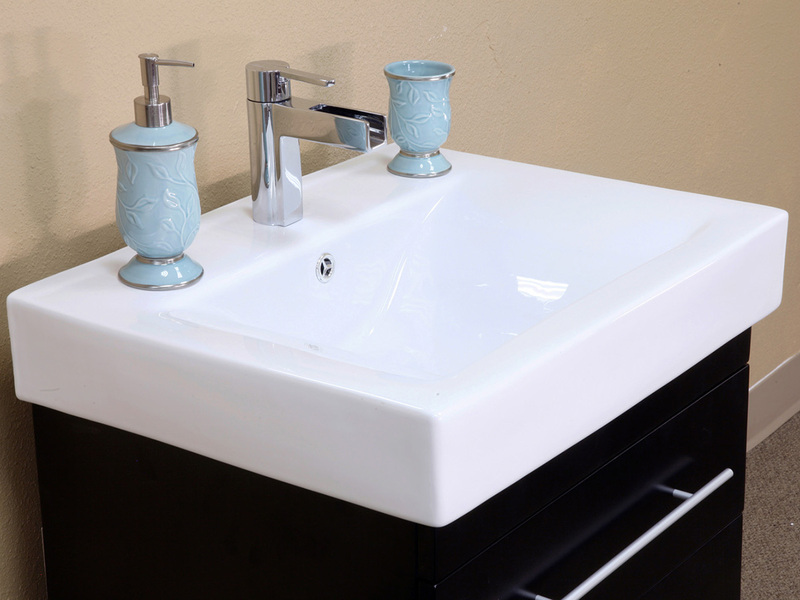 Unlike regular double vanities, you have the option to determine the spacing between sinks to better match your bathroom layout. 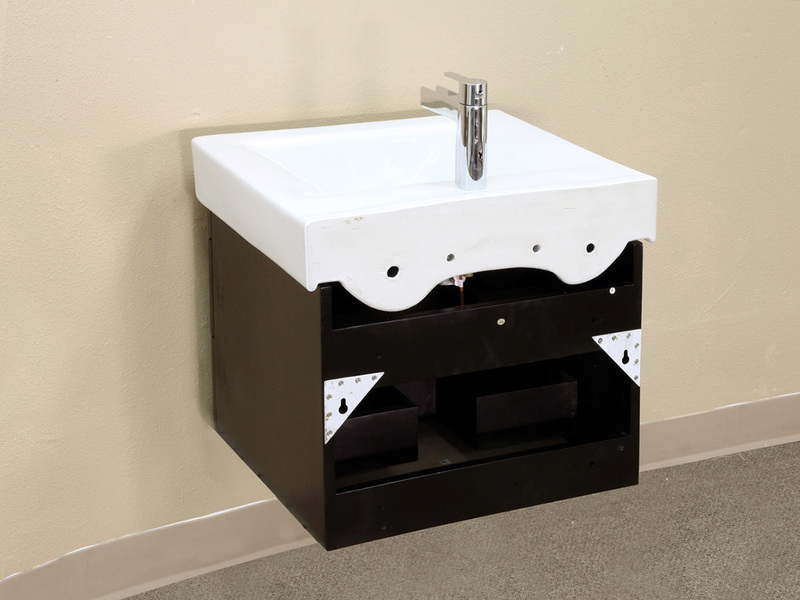 The cabinets are constructed from solid birch wood, and with their water proof black finish, these vanities are built to withstand bathroom humidity. 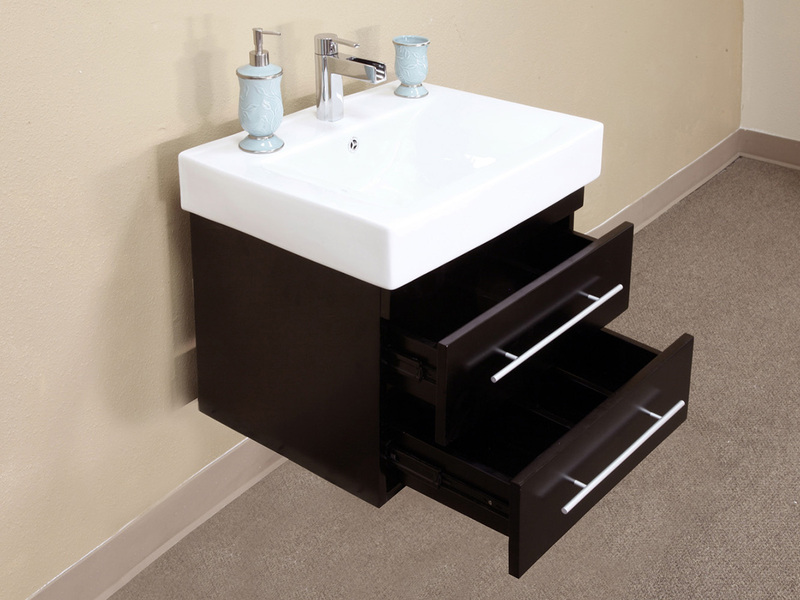 The two functional drawers open and close effortlessly with their ball bearing glides, and provide a convenient storage space for bathroom accessories. 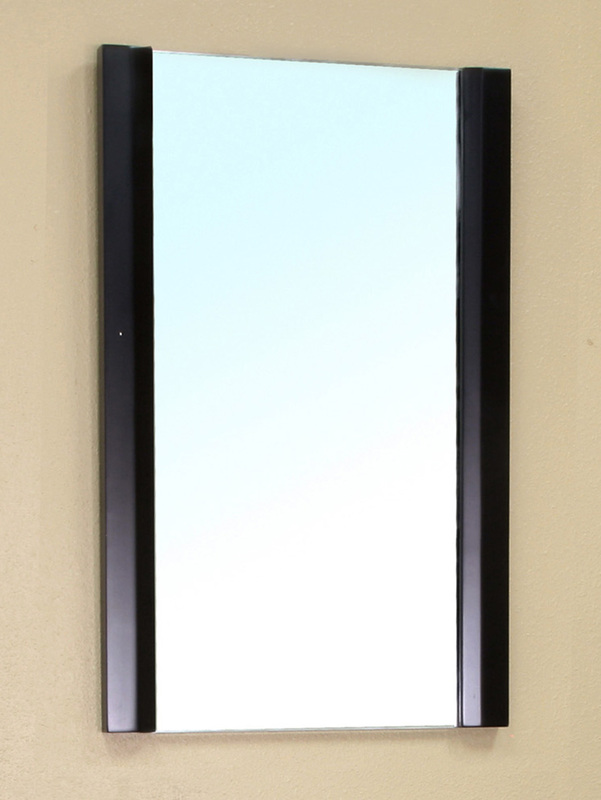 Matching framed mirrors are also available to further compliment this great looking double vanity.